Professor Holger Nehring, Chair in Contemporary European History at the University of Stirling. Looking to the past can help us understand the risk of nuclear war and nuclear attack today, according to University of Stirling historian Professor Holger Nehring. After agreement was reached last week between Iran and the US, UK, France, Russia, China and Germany over Iran’s long-term nuclear programme, Professor Nehring stressed that "diplomacy and statesmanship, an awareness of history, and an acknowledgement that states can change over time" are key to addressing the threat posed by nuclear weapons in the future. Writing in The Conversation, Professor Nehring argues that there is no fundamental difference between the Cold War era and the present, in terms of the threat posed by nuclear weapons. Professor Nehring, Chair in Contemporary European History at Stirling, said: "Most of the countries that Western societies would regard as especially risky today (such as Iran and North Korea, Pakistan and India) already began their nuclear programmes during the Cold War. "Moreover, history has shown that what matters in terms of risk is not whether or not a country has nuclear weapons: it’s what it intends to do with them. And that we often don’t exactly know." Professor Nehring also argues that western countries are more inclined to highlight the risk posed by non-western countries than their own, making the development of nuclear programmes a symbol of national sovereignty for non-western countries, which helps them to shed their colonial past. "We can often detect a subtext of colonial attitudes in Western assessments of non-Western nuclear powers: some countries, so the reasoning goes, just seem not up to having nuclear weapons; they appear as sloppy with safety, and dominated by religious fanatics or ancient feuds." "Making such assumptions unthinkingly comes with its own risks, not least encouraging states to pursue the weapons even more doggedly." The full article is available on The Conversation website: 'History is the key to making sense of nuclear weapons'. 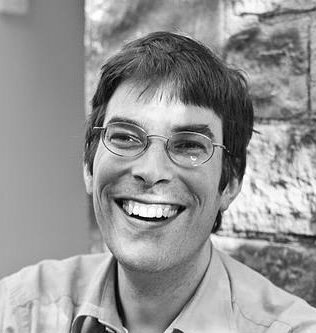 Professor Nehring is Chair in Contemporary European History in the Division of History and Politics, part of the University of Stirling’s School of Arts and Humanities. Stirling has particular strengths in environmental history and heritage, contemporary history and politics, Scottish history and the study of conflict and co-operation in past and present. In the 2014 Research Excellence Framework, 98 percent of Stirling’s History research was rated as world-leading or internationally excellent.